(8079, Oklahoma Historical Society Photograph Collection, OHS). Oklahoma's fifteenth governor was born on January 21, 1908, south of Madill, Oklahoma. The eldest of five children of Daniel and Winnie Edith Gary, Raymond spent his childhood on the family farm near Buncombe Creek. After attending rural schools, Gary went to Madill High School. While riding his horse five miles to school, he was often accompanied by a neighbor, Emma Mae Purser. One year after he graduated in 1927, the two were married. After passing the state teacher's exam, Gary taught for five years at Raborn and Rocky Point in Marshall County. He also attended Southeastern State Teachers College to obtain a life certificate. In 1932 Raymond Gary entered and won the election for Marshall County superintendent. Within four years he obtained an A accreditation for all his schools. Then in 1936 he established the Gary Manufacturing Company to make school and office furniture. Additionally, in 1946 he bought Kingston Commercial Oil and Gas. Renamed Sooner Oil, Gary's company became a major oil and gas wholesaler. He also purchased a 120-acre ranch outside Kingston; the ranch later grew to hundreds of acres. A Democrat and always interested in politics, Gary ran for the Oklahoma Senate in 1932, losing by three hundred votes. Eight years later he handily won reelection. Serving for fourteen years, Gary won wide acclaim for his expertise on appropriations. In 1953, after declaring that he had "a deep desire to serve as governor," he entered the sixteen-candidate field. Initially finishing second to William Coe, he won a solid victory in a bitter runoff. Gary began his governorship on January 11, 1955, by delivering an extemporaneous message that was instantly proclaimed to be one of the best speeches ever delivered before the legislature. The new governor's words focused on his intent to integrate peacefully the state's schools, promote industry, and build roads. Once the ceremony ended, the governor's forces quickly introduced his Better Schools Amendment. Aimed at destroying Oklahoma's constitutionally segregated schools, his omnibus amendment replaced the existing four-mill separate levy for black schools with a common school fund four-mill tax. By ending separately funded schools, districts would be forced to integrate voluntarily, resulting in larger schools with better standards. Quickly voting passage, the legislature recessed so the governor could personally lead a statewide campaign for approval. Knowing that he had staked the "success or failure of my administration" on this, Gary was elated when the voters overwhelmingly voted yes. Oklahoma, therefore, became the only southern state voluntarily to begin to end segregation. Moreover, Gary abolished separate bathrooms and fountains at state buildings. Further, he ended segregation in the National Guard and Crime Bureau. Next, the governor secured legislation creating the Department of Commerce and Industry. Directed by the governor and a citizen advisory council, the new agency's role was to inform the nation about the state's natural resources and its agricultural and commercial opportunities. Using an official state magazine, Oklahoma Today, and other promotions, the department effectively began to publicize Oklahoma's economic and environmental virtues to encourage businesses from around the country and the world to relocate in the Sooner State. Another growth barrier Gary attacked was the state's dearth of good roads. Responding to his wishes, the solons soon appropriated $10 million to begin meeting Gary's goal of twenty-five hundred miles of new or renovated construction. Eventually the governor's tenure provided an "incredible" total of four thousand miles. Another area he targeted was urban water development. As requested, the legislature created the Oklahoma Water Resources Board to oversee long-range use of the state's waters. Additional farsighted water reform legislation allowed cities to join resources to create water conservation districts. During 1957 Gary happily assisted the Oklahoma Semi-Centennial Commission in celebrating the state's fiftieth birthday. Declaring "every citizen should be proud . . . to live in this great state," the governor opened the Semi-Centennial Exposition in Oklahoma City with a golden tomahawk. The spectacle, which Gary effectively used as a publicity opportunity, attracted the participation of nineteen countries and drew over 1.5 million visitors. Among many other major achievements, Gary's term brought increases in appropriations for common schools, higher education, old-age assistance, the highway patrol, and mental health programs and hospitals. Serious reforms for the mentally ill soon made Oklahoma's program a model for the nation. When Gary left office, it was well acknowledged that his practical approach to politics and ability to compromise had insured his success. Certainly, his deep knowledge of the intricacies of government astounded both his allies and his opponents. In essence, Gary's remarkable tenure had created a positive picture of Oklahoma's state government, an achievement that greatly enhanced the state's image to the world. If he had done nothing else, the governor's heroic stance on integration had insured a legacy that would live on and inspire others to rid the nation of that particular evil. While Gary never held elective office again, he remained a major influential personality in state and national politics for more than thirty years. Gary died on December 11, 1993, and was buried at Madill. 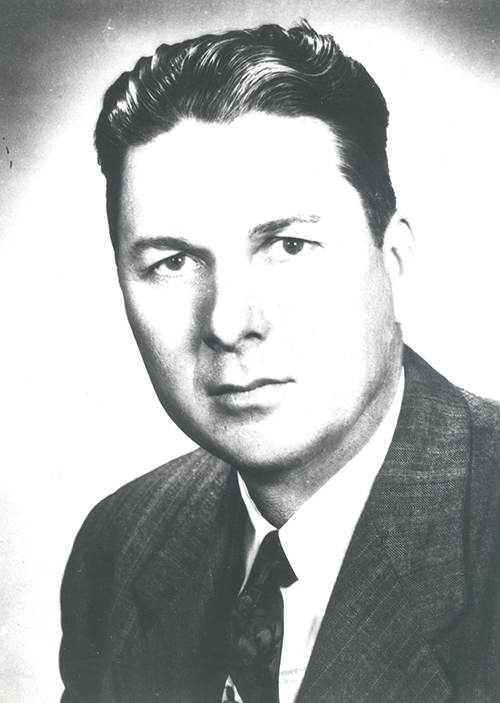 Terry L. Bruce, "Raymond Dancel Gary, Governor of Oklahoma, 1955–1959," in Oklahoma's Governors, 1955–1977: Growth and Reform, ed. LeRoy H. Fischer (Oklahoma City: Oklahoma Historical Society, 1985). Arrell M. Gibson, Oklahoma: A History of Five Centuries (Norman: University of Oklahoma Press, 1981). James C. Milligan and L. David Norris, The Man on the Second Floor: Raymond D. Gary (Muskogee, Okla.: Western Heritage Books, 1988). James C. Milligan, Oklahoma: A Regional History (Durant, Okla.: Mesa Publishing Co., 1985). L. David Norris, "Gary, Raymond Dancel," The Encyclopedia of Oklahoma History and Culture, https://www.okhistory.org/publications/enc/entry.php?entry=GA018.